“Why do you think you drink?”, the 25-year old Veera asks her father Heikki in his bachelor pad during their first encounter after 15 years of zero physical contact. “Because life is boring”, replies the emotionless plump middle-aged man, seated still as a sculpture in his armchair. The uneven battle between the ice-cold drunkard and his teary daughter in search of answers, provokes strong disbelief – man’s chilly dismissal of responsibility and his obviously bored facial expression in the final ten minutes of “The Magic Life of V” are almost unbearable to watch. All in all, there is only one answer presenting itself. When the abusive and in the meanwhile absent father whose background in this documentary is painted one-dimensionally gets finally presented in his whole majestic indifference, there’s no place for bewilderment. All the pieces of the puzzle just click together, as it was promised on its package. On the other hand, the road to the father-daughter tête-à-tête is quite unique. “The Magic Life of V” opens and closes with the same scene of Veera and her mentally challenged brother Willi, in dance-like movements to the spinning of a fancily designed lamp. This seemingly bizarre moment caught up by the experienced lens of the DoP Alexander Stanishev (Paul Dalio’s “Touched With Fire”, Kristina Nikolova’s “Faith, Love + Whiskey” and Leonardo Corbucci’s “Black & White in Colours”) is a symbolic call for a bit of light to shine on the trauma-marked lives of the siblings, an interpretation not pulled out by the author of these words, but given in one of the film’s final sequences, in which Veera shouts the magic spell “Luminous”. Before being sucked into Veera’s emotional account of her childhood memories that shaped her adulthood, we are sent on a bus trip from Finland to the polish town of Czocha, where one of the big international Larping summits is about to take place. Veera becomes her played character V, who is “talkative, wants to be friends with everyone right from the start, she makes quick moves, her emotions change fast” and “she doesn’t take things personally”. Obviously not just a practice for people who like to skip into a skin of a period drama character or a fantasy creature, but a form of last resort for individuals who fight their own demons, Larping is a perfect means of escapism. Such is the case with Veera, who is met with people with all kinds of personal problems, among them a girl called Slava played by the Bulgarian actress Slava Doycheva (Ivan Tscherkelov’s & Vasil Zhivkov’s “Christmas Tree Upside Down” and “Crayfish”, directed only by Tscherkelov). But a true therapy takes place at home, somewhere in Jämse. Ville is suddenly under the harmful influence of his estranged father, and Veera tries to take control over the family life. Hristov seizes for the classical documentary elements, such as home video tapes of siblings or an intimate insight into the family’s daily routines. Deep impact is left by the original melancholic score composed by by Petar Dundakov, who also was behind the music in director’s five of six previous films. 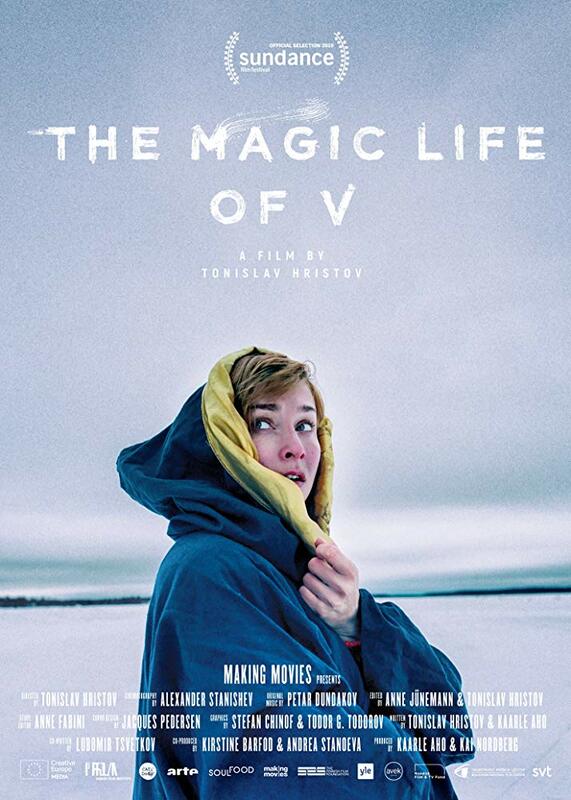 “The Magic Life of V” is a Finish (Kaarle Aho & Kai Nordberg)/ Danish (Kirstine Barfod)/ Bulgarian (Andrea Stanoeva) coproduction, supported by the Finish Film Foundation/ Danish Film Institute/ Nordisk Film & TV Fond/ AVEK (The Promotion Centre for Audiovisual Culture).